Fill the largest room with fog! 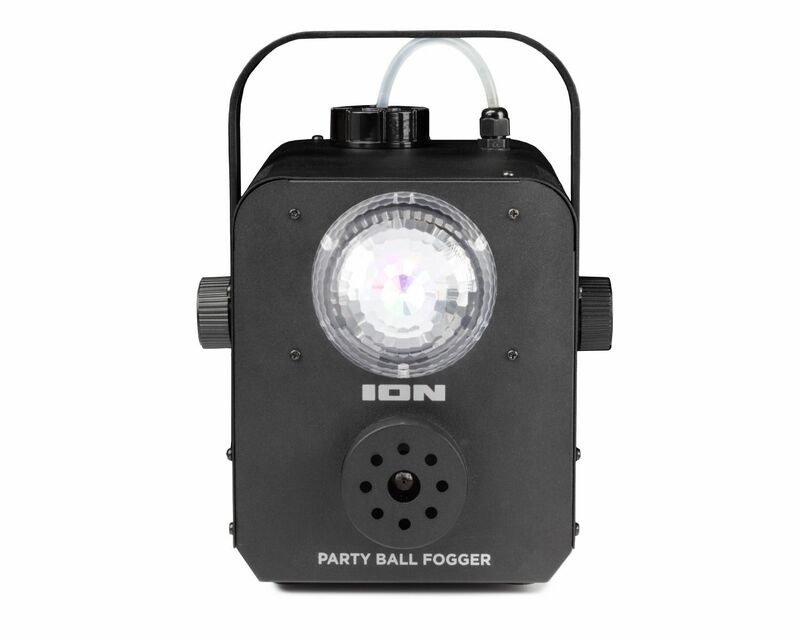 When you’re looking to create the perfect party atmosphere, Party Ball Fogger is exactly what you need. This 400-watt fog machine quickly and easily fills your room with swirling fog, for that “just right” mood-inducing effect. The domed party light projects Red, Green White, Purple, Orange and Blue colors into the fog, further enhancing the ambience of your event. There is a wireless remote for user activation and an integrated handle for easy transportation. Plus, the water-based fog solution (included) is safe for fire alarm systems.